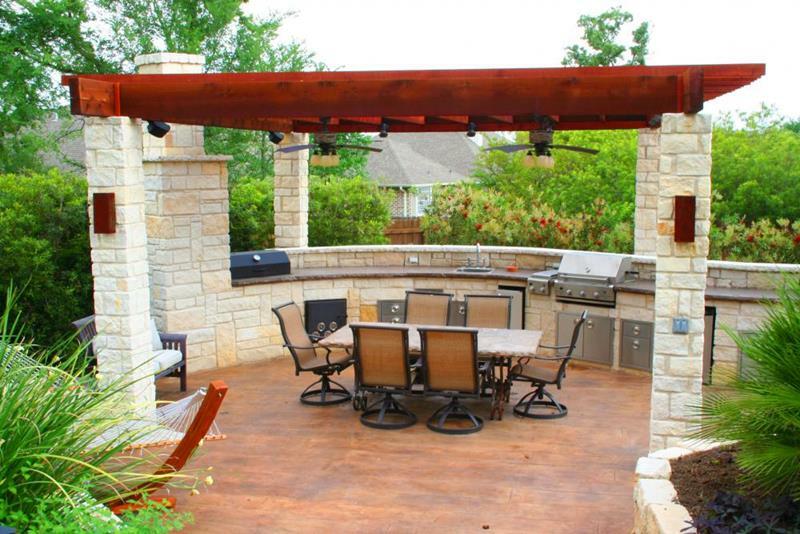 If you don’t want a roof or pergola over your outdoor kitchen, you can go for an umbrella like this example does. 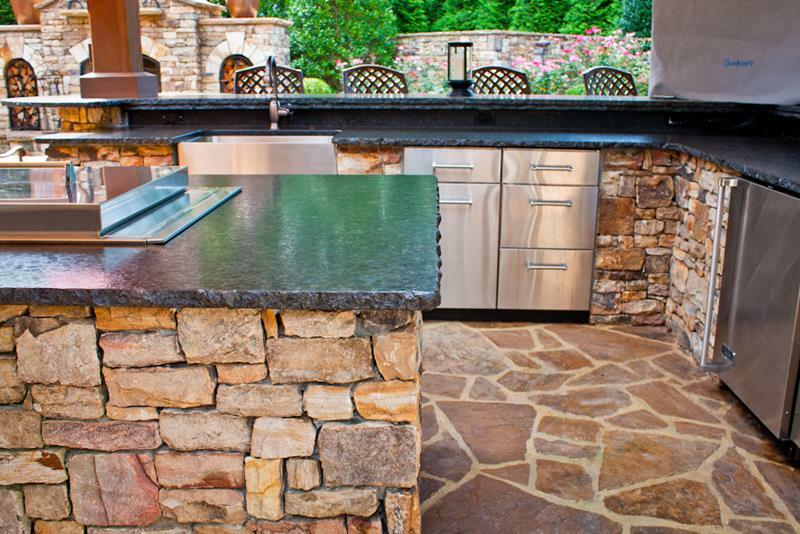 The design of this L-shaped outdoor kitchen with island affords plenty of room for multiple cooks to go to work. 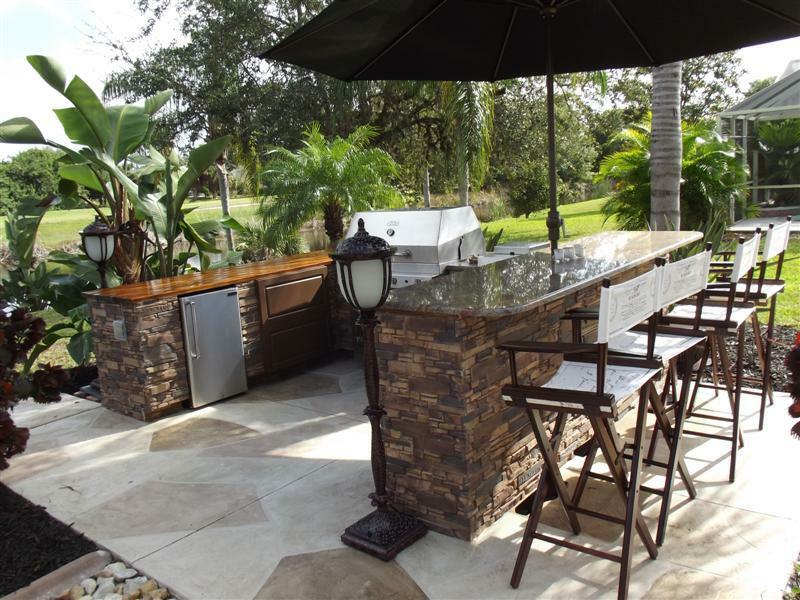 Check out how this outdoor kitchen design splits the difference between an indoor and an outdoor living space. 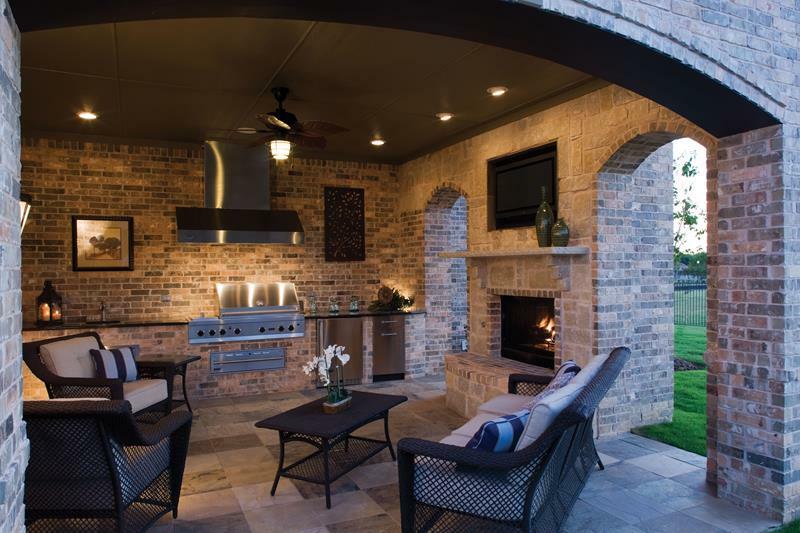 The layout of this outdoor kitchen is perfect for gathering to dine with friends and family. 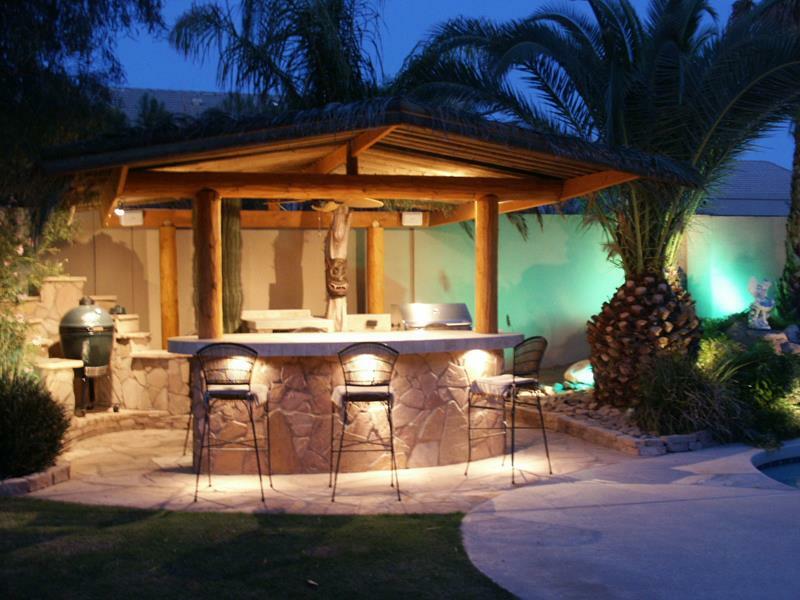 Those who appreciate their adult beverages will love that an outdoor kitchen can double as a tiki hut. 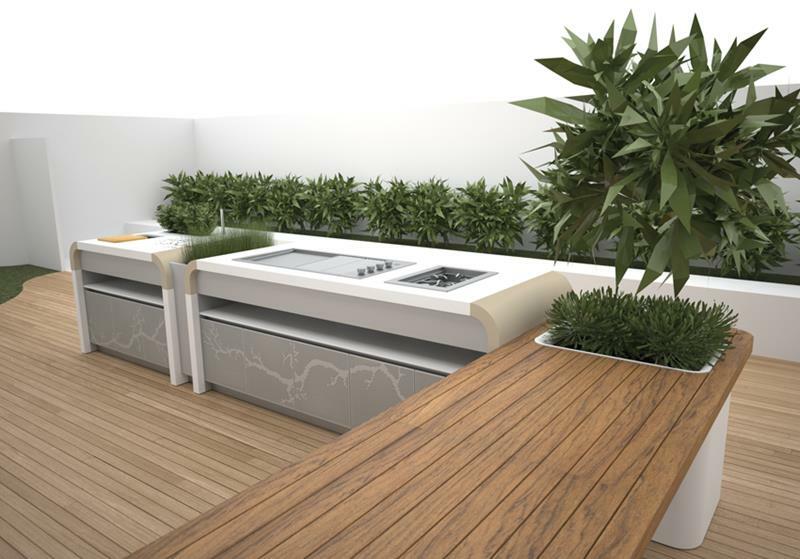 Although not exceptionally common, there are contractors who can build a stylish and modern outdoor kitchen for you!